It is 1972, and the Soviet Union has succeeded in planting a mole in the top echelons of the Central Intelligence Agency. Three years earlier, CIA officer Chris Holbeck took part in a failed mission to engineer the defection of a Soviet KGB officer who may know the mole's identity. His name is Sasha Plotkin. When they were both stationed in Stockholm, Sweden, in 1969, Chris and Sasha connected on a personal level. Chris was excited to find a KGB officer interested in changing sides. Then, on the day of the Soviet agent's defection, Sasha was a no-show. 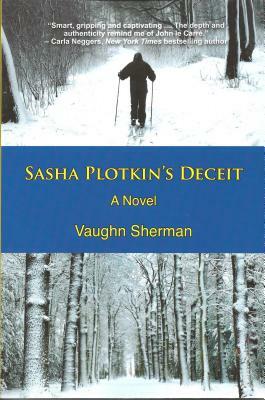 Chris would soon discover the full extent of Sasha Plotkin's deceit. Now Sasha has resurfaced and wishes to make another attempt to defect. To Chris' dismay, he is the only CIA officer the man will consent to deal with, even though their once close relationship is now riddled with mistrust. Chris's wife, Lisa, has sworn to leave him if he abandons her and the family for one more perilous mission. His alluring young colleague Bisan seems determined to seduce him. Despite the risk to his life and his marriage, Chris answers the call of duty. If Chris succeeds in transporting Sasha to the United States--come hell or high water--will the Soviet agent reveal the true identity of the mole? One thing is certain: the lives of the two men will be forever changed. Vaughn Sherman's career as a fisheries biologist was cut short when he was recruited by the Central Intelligence Agency. He and his wife live in the Pacific Northwest.